The Attends Professional Care Wet Wipes can be used for intimate personal care and deep cleansing. They are infused with a cleanser so they can be used alone or with additional cleaning products, including Attends Care Foam or Attends Washing Lotion. The wipes will help keep skin fresh and clean. They’ll also protect against skin infections that can occur from unwashed skin. The wet wipes can be used in patient care or for personal care. They are multi-purpose, and can also be used for light cleaning of surfaces. They fit conveniently into a purse or bag, or can be kept near the toilet or in a caregiver’s kit. They’re gently enough to use on every region of the body, except the eyes. They are suitable for personal care prior to placing a fresh Attends pad or adult diaper. These Attends wet wipes don’t contain any alcohol, which can be harsh and abrasive on the skin. They’re made from a unique alcohol-free formula that is safe for skin. They are pH-balanced with a paraben-free formula. They have been dermatologically approved for skin care. The wet wipes provide a care solution for when it may be more difficult to get to a washroom or when a patient is confined to bed. They are widely used by nurses and caregivers in hospitals and care facilities. They can also be used in portable toilets where they may be no running water. 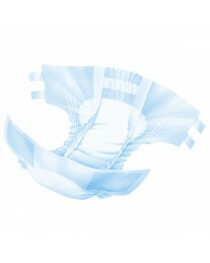 The Attends Professional Care Wet Wipes are made from cellulose and are soft and gentle on the skin. Caregivers may wish to use gloves when using for patient care. The wet wipes can be disposed of in a bin. It’s recommended by most cities to not dispose of wet wipes down the toilet, despite packaging saying they’re safe for city or septic systems. 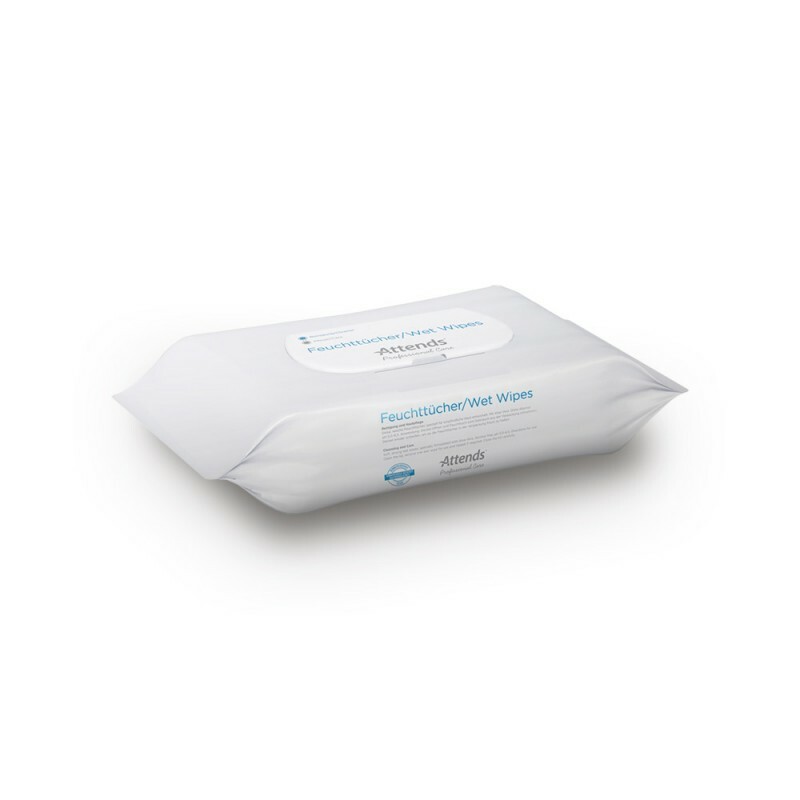 The Attends Professional Care Wet Wipes are sold in six packs of 80 so you have enough to cover your daily patient or personal care. The care wipes are stacked neatly in a plastic packaging, with an adhesive closure, so you can use one at a time. The closure will keep the wet wipes fresh and moist, and keep them from spilling when in transit. • Soft but strong disposable wipes. • Can be used with other Attends cleansers. • Contain no harsh chemicals.